Jobs at StoneAge Waterblast Tools - Work with us! StoneAge is 100% dedicated to customer service. We are known for employing the best people in the industry, and every employee is a member of our customer service team. At StoneAge, each department views not only those who buy our products as customers, but each employee as a customer. We expect our employees to address issues in a timely manner, communicate effectively with both customers and each other, and look for positive ways to solve problems. StoneAge fosters a self-motivated environment where managing multiple priorities is essential. Read about our company history and mission. Click the job description link and use the "Apply for this job" button to submit your application. Please include a cover letter and resume specific to each position you’re applying for. If you are not currently living in the region, your cover letter should include information about your interest in the Durango area. We send acknowledgement by email of all resumes we receive. If we do not contact you for an interview within one to two weeks, we have selected other candidates for the initial interview process. However, we keep all resumes on file until the position is filled, in case we decide to broaden our search. Durango is one of those special places: a small mountain town (population approx. 16,000) located within a unique tri-city county (population approx. 50,000) on the banks of the Animas River, with a vibrant community and access to countless sports and activities. In fact, Durango was recently named the top “micropolitan” town in America. Tourists are drawn by nearby Mesa Verde National Park, the Durango & Silverton Narrow Gauge Railway and Purgatory Ski Resort, but those of us who make our home here know there’s so much more to appreciate. What we lack in shopping malls and freeways, we make up for with the genuine friendliness of the people, the lively arts and music scene, the world-class restaurants, the strong ranching and farming heritage of the area, the excellent schools and library and medical care, etc. And for the outdoor enthusiast, the opportunities are endless: fly fishing, horseback riding, mountain biking, downhill and Nordic skiing, snowboarding, hiking, backpacking, kayaking, 4-wheeling, and much more. 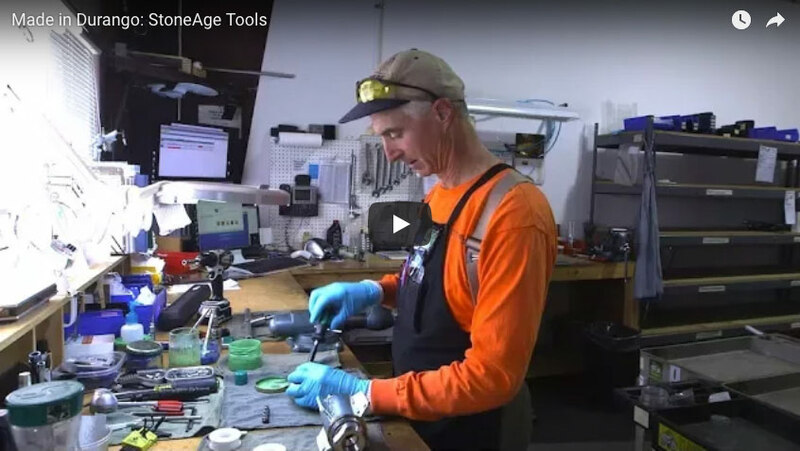 The La Plata County Economic Development Alliance produced a series of videos that explore aspects of the Durango and La Plata County lifestyle, featuring members of the StoneAge team!